Ice cream is the #2 comfort food for Americans (tied with chocolate – pizza is #1), and entrepreneurs who want to buy into one of the top 25 frozen dessert franchises face a tough decision when trying to choose a specific product line. The frozen treat industry includes traditional hard and soft ice cream, flash-frozen ice cream, frozen yogurt, frozen custard, gelato, sorbet, shaved ice, and more. This is not to say entrepreneurs have to limit themselves to only one product since several of the chains offer multiple kinds of products. Ice cream, however, still remains the frozen dessert of choice for most people. Two trends that have gained solid footing in this industry are self-serve and customization through toppings bars. Overall ice cream and frozen dessert sales are expected to top $30 billion by 2020, but that figure includes all the products sold in grocery stores. Still, that hasn’t stopped new waves of frozen treat franchise opportunities from springing up everywhere, and many offer an advantage over store-bought products by having their product made fresh from superior ingredients. Baskin-Robbins has been around since the 1940s when Irv Robbins bought an ice cream parlor in Glendale, California and started experimenting with mixing fruits and candies into the ice cream. Bringing his brother-in-law Burt Baskin into the business, they flipped a coin to see whose name would be first on the sign, and Baskin won the coin toss. The chain is famous for its “31 flavors” which was created to give customers a different flavor every day of the month. 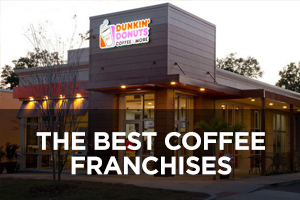 Now part of the Dunkin’ Brands Group, this company currently ranks #41 on Entrepreneur magazine’s Franchise 500 list. 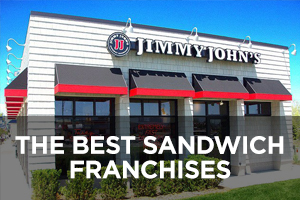 Founded in 1945 and franchising since 1948, the number of locations has continued to rise in recent years from 5,891 in 2008 to the current total of 8,011, none of which are company-owned and 5,450 of which are located outside the U.S. Note that over the past 10 years, the number of U.S. locations has declined by 158 locations, which means the chain’s continued growth has been fueled by opening international locations. Yogurtland was started by Philip Chang, a Korean immigrant who wanted to give people the best possible experience of self-serve frozen yogurt using high-quality ingredients. He opened the first location in Fullerton, California. There are 16 flavors of frozen yogurt available each day, and 33 toppings as well, with customers charged by the ounce for their creations. 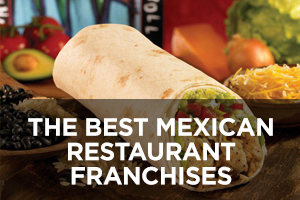 This company currently ranks #469 on Entrepreneur magazine’s Franchise 500 list. 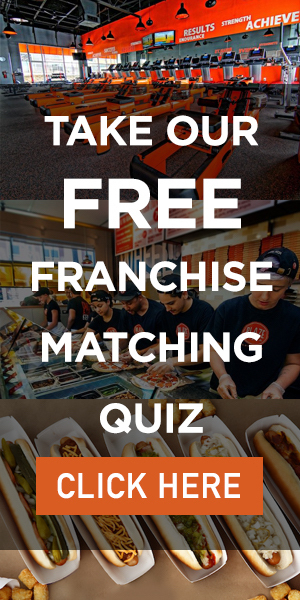 Founded in 2006 and franchising since 2007, the number of locations has expanded from 28 in 2008 to the current total of 317, of which 12 are company-owned and 44 of which are located outside the U.S. Dairy Queen was started in the 1940s when ice cream manufacturer J.F. McCullough perfected a new soft ice cream recipe and opened the first location in Joliet, Illinois. The menu of frozen treats has expanded over the years, and some locations offer hot food as well. 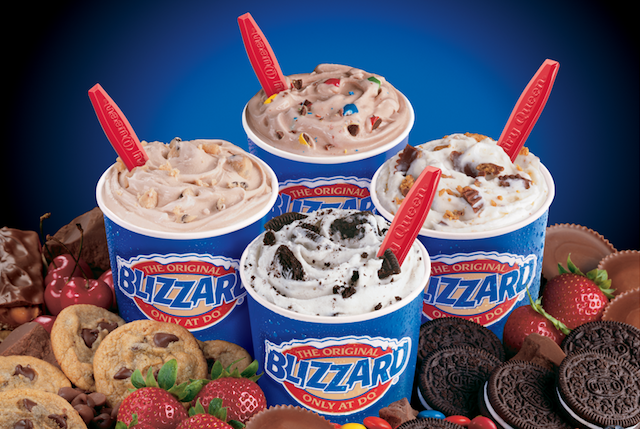 Today there are several Dairy Queen franchise formats available including the DQ Grill and Chill that offers the full range of frozen treats and food items (burgers, grilled sandwiches, and chicken strips), the DQ Orange Julius that serves up all the DQ frozen treats along with the full range of fruit-blended beverages from Orange Julius (this format is common in malls), and a non-traditional format for airports, travel plazas, military bases, and universities. 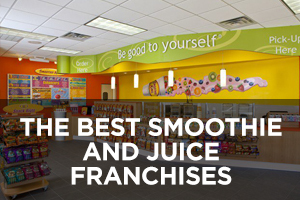 This company currently ranks #67 on Entrepreneur magazine’s Franchise 500 list. Founded in 1940 and franchising since 1944, the number of locations has continued expanding in recent years from 5,689 in 2008 to the current total of 6,864, of which only two are company-owned and 2,478 of which are located outside the U.S. Note that like Baskin-Robbins, over the past 10 years the number of U.S. locations has declined by 160+ locations, which means the chain’s continued growth is attributed to the opening of new international locations. Kona Ice is a truck-based franchise that brings its Hawaiian-style shaved ice treats to customers at all kinds of events, and the customers get to apply the flavorings themselves. Kona Ice franchises also do a lot of fundraising events with groups and organizations in the community. Besides the standard truck, there are also carts, kiosks, and trailers available. It was started by Tony Lamb in Florence, Kentucky. 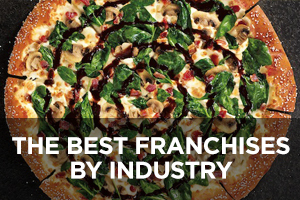 This company currently ranks #83 on Entrepreneur magazine’s Franchise 500 List. 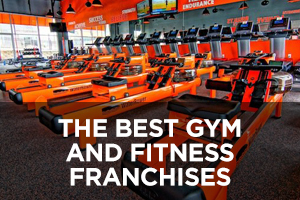 Founded in 2007 and franchising since 2008, the number of locations has expanded rapidly to the current total of 1,066, 18 of which are company-owned and three of which are located outside the U.S. The Häagen-Dazs Shop is a chain of ice cream stores based on the brand created in the 1960s by Reuben Mattus, a Polish immigrant who first came to the U.S. in 1921. In the early days, there were only three flavors — vanilla, chocolate, and coffee, and the ice cream was only sold in various gourmet establishments. The first dedicated storefront was opened in the mid-1970s in Brooklyn. In addition to its regular ice cream, the stores also offer ice cream bars, ice cream cakes, sorbet, frozen yogurt, and gelato. 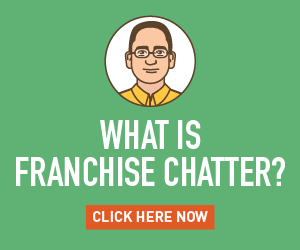 Founded in 1961 and franchising since 1977, the number of locations has declined during the past 10 years from 259 in 2008 to the current total of 205, none of which are company-owned and all of which are located in the U.S.
Menchie’s Frozen Yogurt was founded by husband and wife team Danna and Adam Caldwell with the first location in the Valley Village suburb of Los Angeles. The name comes from Adam’s nickname for Danna. This is another self-serve frozen yogurt chain with more than 100 rotating flavors along with a variety of health-conscious options including low carb, no sugar added, dairy-free, nonfat, gluten-free, and kosher. There are now more than 540 locations in the U.S. and a dozen other countries. Menchie’s believes making people smile is the most important thing that it does. 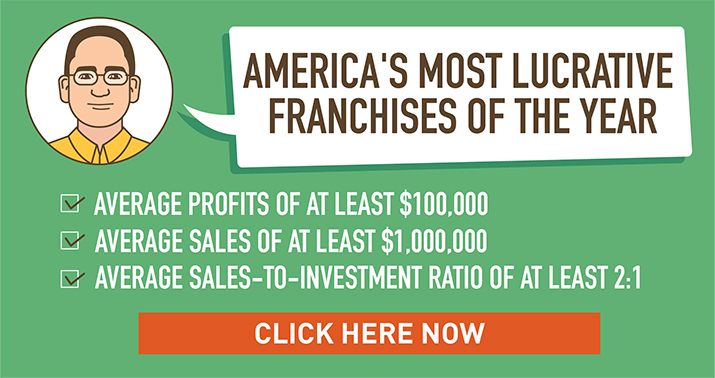 Founded in 2007 and franchising since 2008, the number of locations has risen to the current total of 496, of which only one is company-owned and 137 are located outside the U.S.
Freddy’s Frozen Custard & Steakburgers is a chain that offers frozen custard and burgers. Featuring a retro look that harkens back to diners of the 40s and 50s, it got its start when brothers Bill and Randy Simon teamed up with their father, WWII veteran Freddy Simon, and experienced restaurateur Scott Redler, to open the first location in Wichita, Kansas. Freddy grew up on a Kansas farm eating steakburgers, which explains the basic concept, but the menu also includes other sandwiches, hot dogs, and lots of sides. 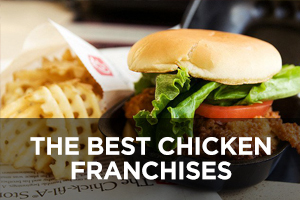 This company currently ranks #44 on Entrepreneur magazine’s Franchise 500 list. Founded in 2002 and franchising since 2004, the number of locations has grown rapidly in recent years from 52 in 2011 to the current total of 311, of which 24 are company-owned and all are located in the U.S.
Carvel holds a special place in ice cream history, being one of the first companies to franchise an ice cream concept. The chain dates back to the first location in Hartsdale, New York, opened by Tom Carvel in the 1930s. It’s known for its ice cream, cakes, pies, and other treats sold through a variety of locations including stadiums and supermarkets, as well as its storefront locations. Orange Leaf Frozen Yogurt got its start as Orange Tree Frozen Yogurt in San Francisco. When Mike Liddell and his son-in-law Reese Travis saw a successful location in Oklahoma, they decided to purchase a franchise for themselves in 2009. They liked it so much they bought the entire company, moved it to Oklahoma City, and renamed it Orange Leaf Frozen Yogurt. This is a self-serve “froyo” chain with a rotating selection of more than 70 flavors and a toppings bar. The product makes use of a dehydrated yogurt base and is prepared fresh daily in-store with fat-free milk. Founded in 2008 and franchising since 2009, the number of locations has grown to the current total of 310, none of which are company-owned and five of which are located outside the U.S.
Andy’s Frozen Custard owes its existence to John and Carol Kuntz taking a trip to Wisconsin where they tasted frozen custard for the first time and wanted to bring the concept back to their home state of Missouri. They opened the first location in Osage Beach and named the company after their son, Andy, who now runs the business with his wife Dana and his mother Carol. John passed away in 2008. Their chocolate and vanilla custards are made fresh each hour and served within one hour of being made. During autumn, the chain is known for blending slices of pumpkin pie and apple pie into their frozen custard to make seasonal “concrete” mixes. Founded in 1986 but only franchising since 2003, the company website now lists 65 locations open and another 11 as “coming soon,” all in the U.S.
Pinkberry was started after the first idea of Hye Kyung (Shelly) Hwang and Young Lee, a formal English teahouse in West Hollywood, fell apart. Their particular twist was presenting a series of tart frozen yogurt flavors that quickly gained a cult-like following. The chain also offers sweet frozen yogurt flavors, yogurt smoothies and shakes, and several low-fat milk ice cream flavors. Pinkberry is part of the Kahala Brands company that includes 22 quick-service restaurant brands and approximately 2,900 locations in 34 countries. Marble Slab Creamery dates back to the 1980s and is known for its homemade premium ice cream prepared to order on a marble slab with lots of choices of mix-ins. It is primarily focused on serving its ice cream in waffle cones, but also offers smoothies, shakes, sundaes, banana splits, ice cream cakes, and pies. Some locations also offer homemade baked goods such as cookies, brownies, and apple pie, as well as gourmet coffees. 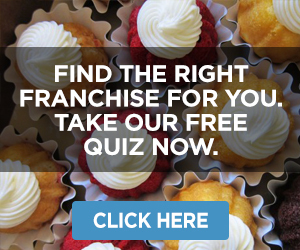 This company currently ranks #401 on Entrepreneur magazine’s Franchise 500 list. Founded in 1983 and franchising since 1984, the number of locations has been declining over the past 10 years from 374 in 2008 to the current total of 330, none of which are company-owned and 110 of which are located outside the U.S.
Rita’s Italian Ice was founded in the 1980s when former Philadelphia firefighter Bob Tumolo decided to open an Italian ice store in Bensalem, Pennsylvania named after his wife. His initial recipe was one he purchased from an elderly neighbor that he then modified to make it better. The menu has expanded over the years to include frozen custard, gelato, milkshakes, frozen drinks, sundaes, and other frozen treats. Rita’s has a long-standing tradition of giving away free regular-sized Italian Ices on the first day of spring. Founded in 1984 and franchising since 1989, the number of locations has declined slightly in the last two years from 621 in 2016 to the current total of 598, none of which are company-owned and seven of which are located outside the U.S.
TCBY is actually an acronym that originally stood for “This Can’t Be Yogurt,” which is what company founder Frank Hickingbotham exclaimed the first time he tried frozen yogurt, although the company has redefined the acronym to mean “The Country’s Best Yogurt.” He started the company in the 1980s with the first location in Little Rock, Arkansas. In 2000, TCBY was acquired by Mrs. Fields to form a new company, Mrs. Fields Famous Brands. TCBY has not updated its location data with Entrepreneur since 2010, at which time there were 616 locations. The website now refers to 350+ locations in the U.S. There was a time when there were 1,700+ locations. Cold Stone Creamery was founded by Donald and Susan Sutherland in the 1980s with their initial location in Tempe, Arizona. The brand is owned by Kahala, a company that also owns Blimpie, Surf City Squeeze, TacoTime, and other franchise concepts. Each Cold Stone store makes its ice cream fresh daily, blended by hand with fruits, nuts, candy, cookies, and more for custom ice cream creations. Founded in 1988 and franchising since 1994, the number of locations has dropped over the past 10 years from 1,519 in 2008 to the current total of 1,236, of which only three are company-owned and 341 of which are located outside the U.S.
Red Mango is a chain that has sprung up as part of the resurgence of the froyo concept. It was founded by Daniel Kim with the opening of the first store near the University of California, Los Angeles. In addition to frozen yogurt, the chain offers fruit smoothies, cold-squeezed juices, yogurt parfaits, salads, wraps, and other light fare. The froyo is offered on a rotating flavor schedule and is customizable with a range of toppings. Founded in 2006 and franchising since 2007, the number of locations has now reached 315, none of which are company-owned and 124 of which are located outside the U.S.
Yogen Früz was started by brothers Michael and Aaron Serruya in Toronto, Ontario, back in the 1980s and has grown into a robust Canadian chain that offers its proprietary probiotic frozen yogurt, along with both dairy and non-dairy smoothies. The chain uses a unique blending system to combine its frozen yogurt with freshly-frozen fruits, allowing customers to create their own custom blends. Founded in 1986 and franchising since 1987, the number of locations has been expanding over the past 10 years from 679 in 2008 to the current total of 1,232, of which six are company-owned and 1,152 are located outside the U.S. (there are only 80 U.S. locations). Sub Zero was started when husband and wife team Jerry and Naomi Hancock wanted to create a more customizable frozen dessert experience. Using his background in chemistry, Jerry developed a method for flash-freezing ice cream using liquid nitrogen, for which he received an exclusive patent in 2014. The couple opened their first location in Orem, Utah, and allowed customers to choose their milk base, flavors, mix-ins, and texture. Because each customer order is flash-frozen on the spot, Sub Zero stores don’t even need freezers. Founded in 2004 and franchising since 2005, the number of locations currently stands at 59, three of which are company-owned and one of which is located outside the U.S.
Ben & Jerry’s used to have a jingle about there being “two real guys” at Ben & Jerry’s, but neither of the founders is with the company these days. Back in the late 1970s, childhood friends Ben Cohen and Jerry Greenfield took a correspondence course about how to make ice cream, rented an old gas station in Burlington, Vermont, and opened their first ice cream shop. Their product is known for big chunks of chocolate, fruit, and nuts. Dippin’ Dots dates back to the 1980s when microbiologist Curt Jones was using his knowledge of cryogenic freezing techniques to figure out how to flash-freeze ice cream. His process causes the ice cream to form into small balls, which is where the “dots” part of the name comes from, but unlike freeze-dried products, it still melts like ice cream. It’s a very different form of ice cream that a lot of people love. 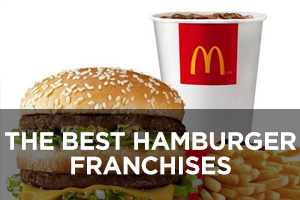 This company currently ranks #369 on Entrepreneur magazine’s Franchise 500 list. 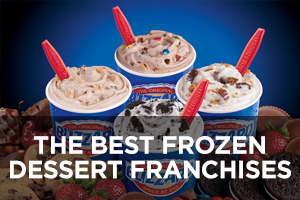 Founded in 1988 and franchising since 1999, the number of locations has grown in recent years from 129 in 2012 to the current total of 220, only one of which is company-owned and 11 of which are located outside the U.S.
Bruster’s Real Ice Cream was started by Bruce Reed in the late 1980s when he opened his first location in Bridgewater, Pennsylvania, next to his family’s diner, Jerry’s Curb Service. Bruster’s makes its ice cream “the old-fashioned way, with slow kettle processing designed specifically to create the Bruster’s flavor, starting with a proprietary homestyle mix delivered fresh from its dairy to each store.” The ice cream is used in all kinds of desserts, including waffle cones, sundaes and splits, cakes and pies, shakes, and more. 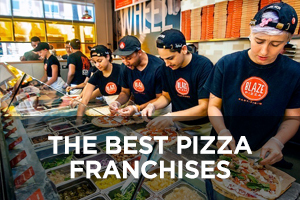 Founded in 1989 and franchising since 1993, the number of locations has dropped over the past 10 years from 257 in 2008 to the current total of 198, of which only two are company-owned and eight are located outside the U.S. 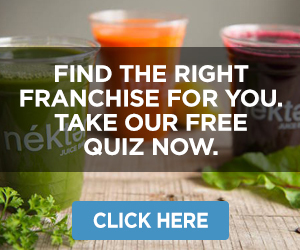 This company currently ranks #232 on Entrepreneur magazine’s Franchise 500 list. Founded in 1989 and franchising since 1993, the number of locations has expanded in recent years from 25 in 2009 to the current total of 113, of which four are company-owned and all are located in the U.S.
Popbar was founded by Reuben BenJehuda from Italy and Daniel Yaghoubi from Germany to offer hand-crafted gelato on a stick with all-natural ingredients in New York’s West Village. Each gluten-free, low-sugar, low-fat bar is also customizable by being dipped and topped according to a customer’s requests. And the bars are fresh-made daily on-site. It’s catching on, albeit somewhat slowly. Founded in 2010 and franchising since that same year, the number of locations currently stands at 32, only one of which is company-owned and 12 of which are located outside the U.S.
Creamistry is a made-to-order liquid-nitrogen flash-frozen ice cream chain started by Jay and Katie Yim when they opened the first location in Irvine, California. In addition to bowls of its ice cream, Nitroshakes and ice cream sandwiches are also on the menu. Customers watch their ice cream being made right in front of them. Creamistry also offers several vegan, dairy-free, organic, and non-GMO bases from which to choose, including a non-dairy sorbet base and an all-natural, vegan coconut base.